Chillis That I grew, originally uploaded by Wee Welchie. 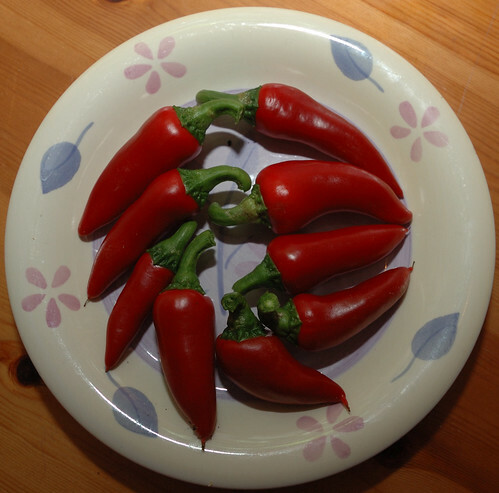 Here is the crop of Chillis from my Chilli Plant. This plant thrived on my kitchen window sill. Not bad for a 99p plant out of Dobbies. 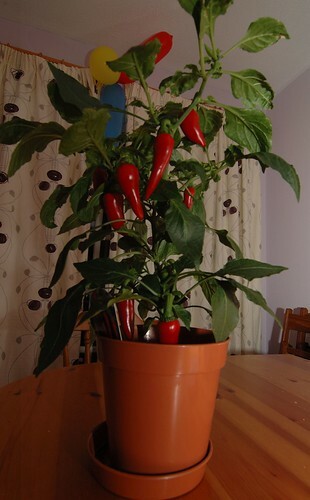 Overall I’ve had 10 chillis from it with one still to ripen. And the full plant (before harvesting). ~ by Welchie on 23 October, 2007.